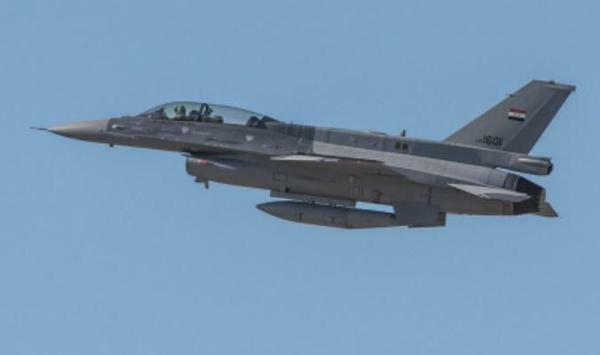 Iraqi air command confirms Iraq’s F-16s are now striking ISIL positions. The first four Iraqi F-16s arrived from the United States in mid-July, out of a total of 36 sold to Baghdad. The aging Sukhoi Su-25 jets were the backbone of the Iraqi air force. Ah! 4 F-16s? Really? A country fighting the most brutal terrorist group in the world that has seized control of 25% of its territory only gets 4 F-16s, after all the delay? This is meanwhile Sunni states like Saudi Arabia, Turkey and the UAE get hundreds of 4rth and 4.5th generation fighters from America, France, and Britain. It's about time that Iraqi Air Force make a good use of its sophisticated hardware and attack ISIL . Iraq has not lost control of 25% of its territory for any lack of F-16s or other modern aircraft. Fighting ISIL more than anything else required the will to fight and having non-corrupt leaders, both in the military and the government. F-16s are great aircraft that could be put to great use by capable militaries. If each of these F-16s conduct two raids on ISIL every day , provided that the raids are accurately zeroed in on their intended targets , in about three months you should be able to see a significant degradation of ISIL in Iraq almost to the point of break down .Iraqi army's initial response to ISIL was disastrous, illustrated by wholesale artillery barrage in Falujah long before the fall of Mosul .If Iraqi forces can take advantage of this new capability and accurately pinpoint their targets ( by that I mean limiting collateral damage ) , they will be surprised how much luck they will have in breaking ISIL hold on Mosul . Well, back at 2008 prime minster Maliki launched a military campaign against Sadrist militias at Basra and the Iraqi army was as functional as any other army in the Arab world, and it also had proper air support from coalition forces (and there was proper coordination between the army and the coalition air force), so the military operations were a success and Basra was retaken. My point is, even under Maliki, the Iraqi army had at least *some* combat readiness for counter-insurgency. Are you saying that after 2008, things got so bad that corruption alone was responsible for the fall of Mosul and the retreat of the army? And wouldn't the Iraqi military have put up a better fight against the terrorists even after the fall of Mosul if it had had a proper air force that provided cover for the ground troops? I'm just saying, there's more than one reason for the fall of Mosul. Even the arms deal with Russia was blocked by Iraqi factions that don't like Maliki and take support from Saudi Arabia. During his recent trip to Teheran ,I think Maliki provided a somewhat accurate account of what precipitated the fall of Mosul in June 2014 .